After dedicating years to building our brand and reputation as one of the world's most-trusted competition bikini makers, we've decided to bring the same excellent service to mens' bodybuilding. When it comes to choosing the ideal posing trunks, we understand you need a durable product that are comfortable to wear on stage, that showcase your impressive physique and look 100% professional. In other words, your ultimate goal when choosing posing trunks is to find the perfect cut. You've trained long and hard for that physique, so don't let it go to waste by falling at the last hurdle. You deserve only the very best, so let Muscle Dazzle help you showcase the results of all your hard work! The Cage - a unique pouch to ensure the smoothest appearance... and modesty! World-class Customer Service - Muscle Dazzle has spent years becoming a trusted brand to thousands of loyal competitors around the world. What is 'THE CAGE' ? What elevates Muscle Dazzle Posing Trunks above the rest? We've developed a world's first for men's trunks with built-in pocket on the inside of the pouch and a completely removable, ultra-thin and ultra-light insert - The Cage. 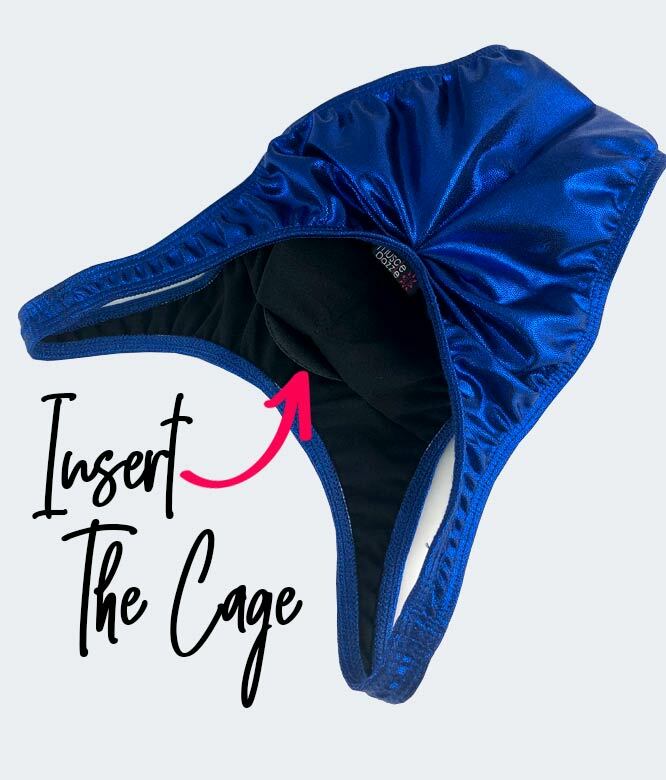 The Cage is super comfortable and easily inserted to help smooth out the front section. You can also remove it if you don't want to use it. Every pair of Muscle Dazzle Posing Trunks come with The Cage included in the price!